Get the structure of a traditional office space without the long-term commitment. Want to identify the private office that's right for you? If PivotDesk offers shared space, how are these offices private? Simple. 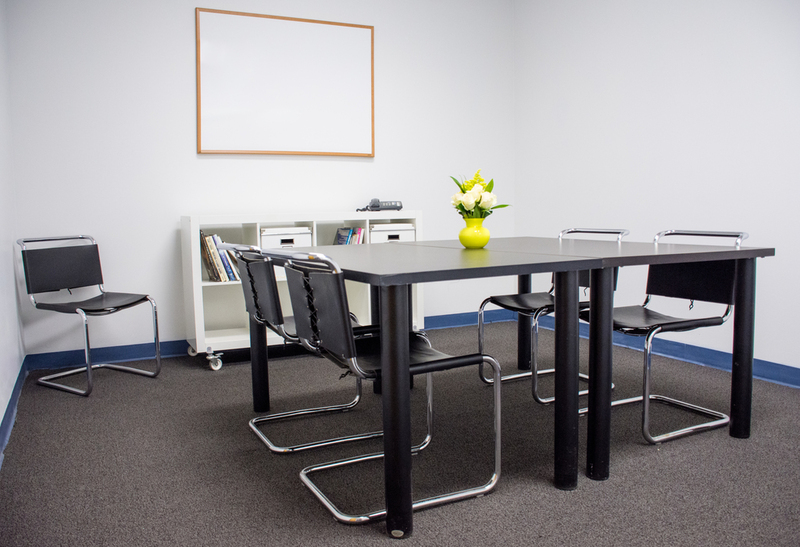 Some of our host companies have traditional, private office space they aren't using. These hosts post their space on PivotDesk in order to offset the costs associated with it. When a host posts space as private, it means you have the option to secure the whole thing instead of booking by seat in an open workspace. In this case, you get the privacy of a traditional office for you team without dealing with lengthy lease negotiations, rennovations, furnishing, long-term contracts... the list goes on. See how IRIS.TV used PivotDesk to find a private, professional office. “The last time I looked at real estate, it took forever. I tried a broker but that would take hours of my day just to end up with nothing that suited us because we aren’t at the point where we can lease an entire floor and afford to furnish it. We needed something stable and flexible that would support our growth trajectory and at our size, we had tapped out of the coworking model. Using PivotDesk, we found a fully furnished space with everything we needed (including conference rooms) in under a week. The space came with an office manager that took care of the amenities and facilities — all of which were included in the price. We had total flexibility AND the space we needed to grow. It was a total no-brainer.